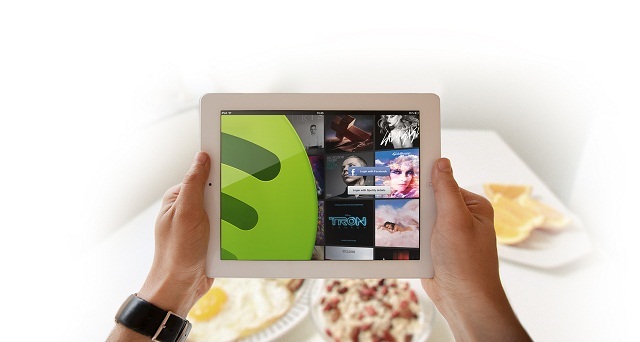 So Spotify today celebrates its fifth birthday. Well done to a start up whose obituary has been written many, many times. The platform hasn’t just survived this far though, it is starting to thrive. According to this report in The Guardian it has 24 million active users, 6m paying subscribers, and 1bn playlists created by those people. In the future it will have many more rivals and ones with deep pockets (think Google and Apple) but for now it has become the byword for online music streaming. From a personal perspective although I have a few reservations about the service I think it is quite possibly the best thing to happen to online music ever. Well from a user’s perspective. If you are a musician, and your name is not Bowie, you probably see Spotify in a different way. Not suprisingly, for a service that is part-owned by several major labels, it tends to feed the big artists and just throws tiny crumbs to the smaller ones. Yet while there are lots of great artists who now struggle to make a living from music, I don’t think this is entirely Spotify’s fault. Even before it launched, piracy and the changing nature of music distribution had chipped away significantly at the revenues of lesser known and cult musicians. Spotify certainly isn’t the solution for funding new music and I can understand why some musicians are very anti the service. I also think that it needs to innovate again. Focussing on the bottom line has given its stability but there are many ways in which it can improve. 1 It is cheap – Come on, just a fiver to stream all that music. You can’t even get a pair Starbucks Lattes for that. From a punter’s perspective Spotify is exceptional value for money. Remember the £50 man? Chances are he is now a £10 man with a premium Spotify subscription. 2 It has access to all those wonderful archives – Sure there might be a few high profile omissions, but many of the greatest recordings ever made are available for very little on Spotify. And it gives music lovers access to albums that they might never have had heard before. If the bands you love are influenced by say Captain Beefheart, Nick Drake and Sun Ra you no longer have to spend a fortune finding out what the originals sound like. 3 It tries to preserve the concept of the album – IMO the album was the ultimate artistic statement of the late 20th century and a bit off this century too. Spotify at least tries to offer music as the musicians intended the listener to hear it. As long as you keep away from that random button.